Day One! The KNH community and MGC Building and Maintenance team on-site. It is time!!!! Hip Hip HOORAY!!! And so it begins! An exciting and long awaited day! Construction on Stage 1 of the new Kununurra Neighbourhood House! Local building company MGC Building and Maintenance Pty Ltd have been contracted to construct this stage of the new facility and we are super proud to stand side by side with them! This project, led, driven and supported by our community, will also now be a project delivered through the strengths and skills of our community. Our local builder employs local people, sub contracts local trades and skills and the building of our new community facility will offer valuable training experience to their local indigenous apprentices. The spirit within this project is why we love living in Kununurra. Local, local, local - together. 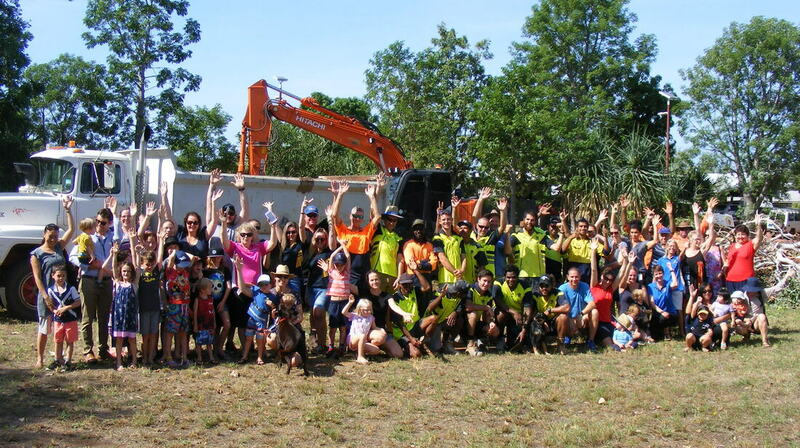 LOTTERYWEST SUPPORT FOR THE NEW KUNUNURRA NEIGHBOURHOOD HOUSE BUILDING. A grant of just over $2 million dollars from Lotterywest, towards the construction of the new Neighbourhood House has been announced by the Minister for Regional Development Alannah MacTiernan and local Member for Kimberley Josie Farrer at a playgroup sundowner in Kununurra this weekend. The mood at the gathering was tinged with excitement. “When I heard our Lotterywest Grant was successful, I was thrilled! To talk about it makes me all tingly. It's almost unbelievable. This is a Pantene "It-won't-happen-over-night,-but-it-will-happen" project. I was there, 9 years ago, when the Kununurra Neighbourhood House Committee resolved to commit to the development of a new purpose built premises. Nine committees have strived to ensure it-will-happen. And here we are. It's fantastic. Anyone who has stepped in our front door will agree that we have physically outgrown our Leichhardt Street house, we need more space to run our programs and help our community. We are very lucky that SWEK (Shire of Wyndham and East Kimberley) has kindly reserved KNH some land on Chestnut Avenue. Local architect Mark Phillips has spent many hours drawing up the designs and preparing the documentation for our new purpose built centre, it's now shovel ready! (Enormous thankyous to Lotterywest and SWEK for funding the design /documentation stage of this project). Now the plans are shovel ready, our staff and committee are working hard to source funds to take the next step towards making our dream come true and to see the new Neighbourhood House built. Find out more information about this exciting project and how you can help us, drop in or call 08 9168 1615 and speak to Kathryn or John. A shout from the rooftops! Thanks to all the incredible support from local businesses and a humungously generous and amazing grant from Lotterywest and we will be able to construct the main part of the new building! Meanwhile KNH continues to grow our Big Vision Fund to provide a supportive place where, together, all people from of all walks of life become the foundations of a stronger, better neighbourhood. 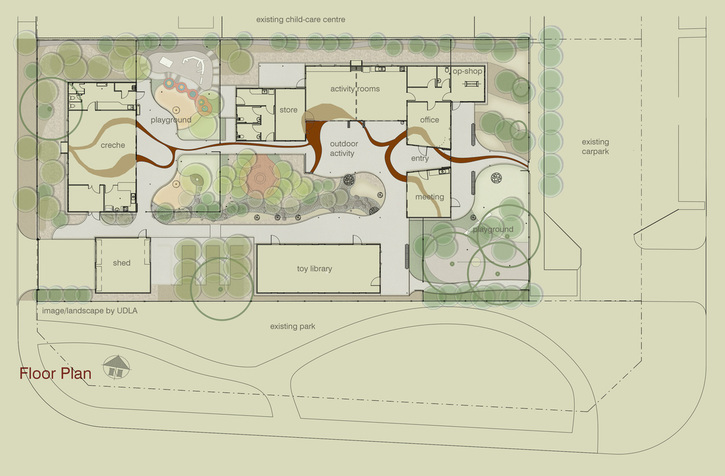 Before diving into construction, we are awaiting the outcome of recent funding applications in the hope that we are able to secure all the funds required to build the facility in its entirety, to include a stand alone Creche facility and new home for the Toy and Puzzle Library. Fingers, toes and eyes crossed! The amazing people behind our local businesses are the generous sponsors building our community. 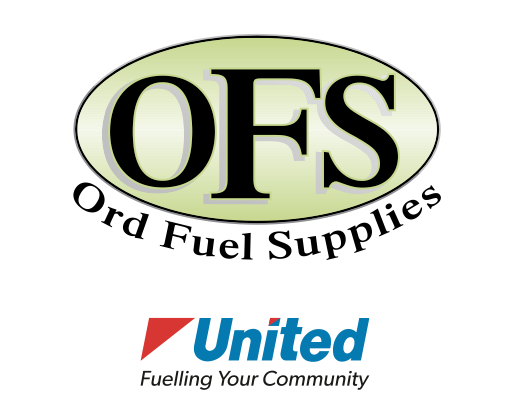 Ord Fuel Supplies are a locally based fuel and oil distributor for the Kimberley and NT. Our core business revolves around supplying fuel and oils to the local farming community. Established in Kununurra over 10 years ago, OFS was originally a locally owned business. Now owned by United Petroleum it continues as a 100% Australian owned independent fuel business. The Kununurra Neighbourhood House provides vital services for families and their children and has certainly outgrown its current location. We can see the benefits that the new Kununurra Neighbourhood House centre will provide to the town and the community, especially following the loss of other community resources and services in recent times. OFS are happy to help with a project we think will be an important hub for the town in future. ​Blackwoods is proud to provide products and services that are essential to the economic growth and prosperity of our country. With an extensive team of product and technical specialists with expertise in the fields of training, safety, inventory, lifting, welding & gas, and fasteners we are committed to ensuring you have the right product and knowledge to get the job done. With origins extending back to 1878, Blackwoods is wholly Australian owned and operated and is committed to working with the community across areas such as ethical sourcing, building greener workplaces, indigenous engagement and gender diversity. Blackwoods is your one place for industrial supplies and safety for Australian businesses of all sizes in a wide range of industries. Pop in to our Kununurra branch and have a chat with our staff today. There are many ways you can help to build Kununurra's future Neighbourhood House! Set your name in stone as a contributor to the project, by sponsoring a paving stone that will be set within the facility for its lifetime. ﻿We can also accept Tax Deductible donations of over $100 through the Australian Neighbourhood Houses and Centres Association. See the links below for more information and to donate. The Argyle Mine operates in a region of significant economic and social disadvantage, a key priority is to help build a stronger and more robust local economy that is not dependent upon the mine's operations. To achieve this, Argyle values its partnerships with business and community organisations throughout the east Kimberley region. 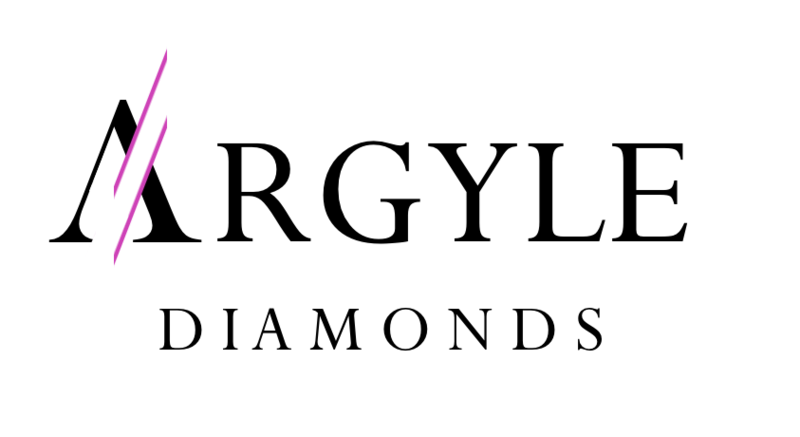 The activities and projects that Argyle supports through its partnerships are designed to improve the life of communities - making towns better places to live in, building community leadership, supporting local cultural events, and improving education and health delivery. Today, Argyle is a significant contributor to the east Kimberley region in terms of employment, infrastructure, tourism and flow-on business, and provides particular support to local indigenous communities. ​Guymer Concreting and Construction Pty Ltd is a locally family owned company that has been servicing the East Kimberley area for six years. We take pride and ownership of our work and offer a very high quality job from setup to finish. With current OH&S Management Guymer Concreting and Construction Pty Ltd is a locally family owned company that has been servicing the East Kimberley area for six years. We take pride and ownership of our work and offer a very high quality job from setup to finish. With current OH&S Management Practices, Indigenous Employment Strategies and trained and licensed staff, we are able to complete all your concreting and construction needs whilst meeting all occupational, safety and regional requirements. We complete all formwork, steelwork and concrete pouring and finishing from large scale industrial and heavy commercial work to house slabs and surrounds and everything in between with a variety of finishes. We are also able to provide Labour Hire Services within the Construction Industry. 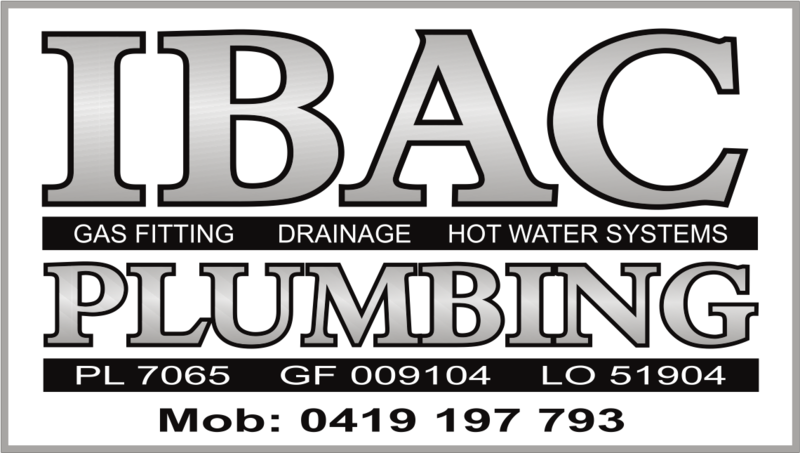 Please call us for a free quote – we look forward to doing business with you. Office National Kununurra is part of Australia’s largest independent office products group. That means our store is not part of some massive and impersonal chain, we’re independently owned and operated. For you it means that you get all the benefits of dealing with a local business while enjoying the perks of great prices and the broad product range of a nationally operated company. We provide the range and diversity you need for your business, as well as the service and local experience that only our team can deliver. We value your business partnership, going above and beyond so your business stays a step ahead. Ceres Farm is an Australian family business owned by Matthew and Melanie Gray. The farm was established in 1994 and continued on by Matt and Mel in 2011. Ceres Farm produces premium agricultural produce throughout Australia and overseas; including watermelons, pumpkins, chia, quinoa, chickpeas, sorghum, maize and this year we are growing sunflowers for the first time. We may only be a small farming business on the grand scale but our passion and enthusiasm is limitless. Our actions are guided by our philosophies: we don’t focus on the negatives we work on the positives, we create change before it’s too late and we consider staff as our most important asset. At Ceres Farm we consider soil and environment as our greatest resource so we show it the respect it shows us. 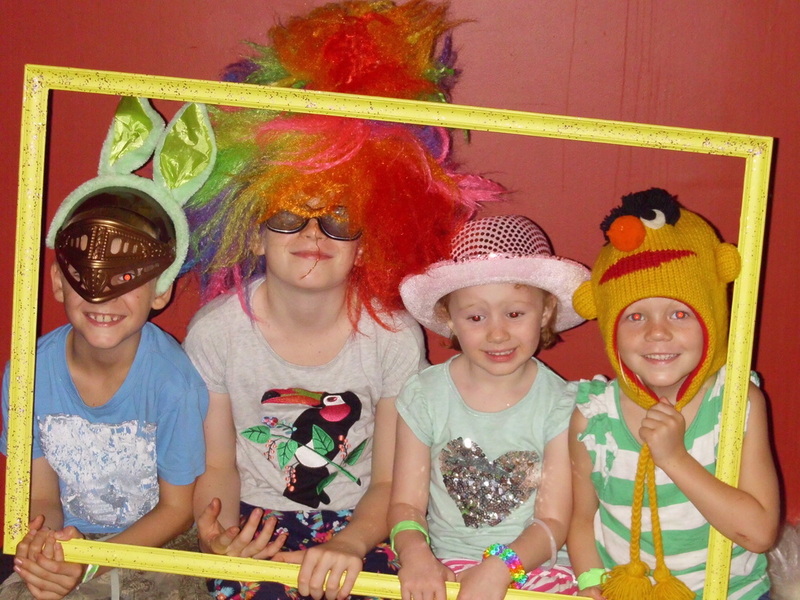 We enjoy the outdoors and love being a part of the Kununurra community, including the Kununurra Neighbourhood House who have supported our families who in turn help us. 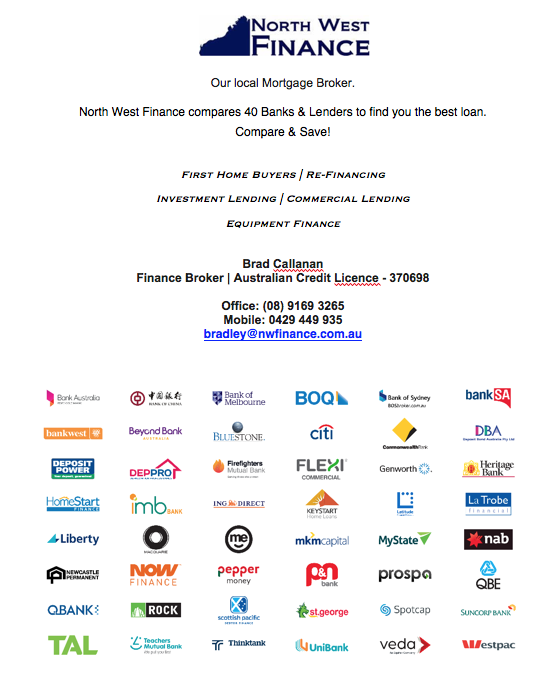 Brad Callanan of North West Finance Kununurra is the only mortgage broker based in Kununurra. His enthusiasm for finance broking and helping people navigate the often confusing waters of loans and mortgages is refreshing and reassuring. His goal is to remove the confusion people often encounter when applying for finance to make it a clear, straightforward process. As a licensed finance broker, he is the intermediary between real people and the lending institutions that offer loan and mortgage products. With knowledge and experience of the options available, Brad at North West Finance can be your “one-stop shop” - doing the research and comparisons for you and saving you time and angst – so you can do more important things - like go fishing. This service as a mortgage broker is free to our clients. We receive a commission from lenders to cover the cost of facilitating the loan application and providing you with services and support to finalise your loan. Brad at North West Finance is pleased to donate 30% of upfront commissions to support building a new Kununurra Neighbourhood House Community Facility. 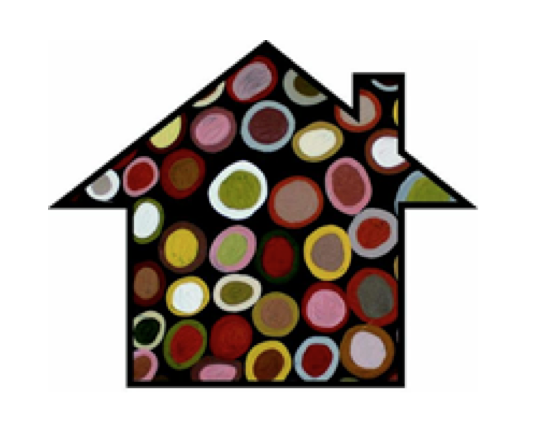 Simply mention Kununurra Neighbourhood House when applying for a loan. WARNING: Aboriginal and Torres Strait Islander viewers are warned that photos on our website may contain images of deceased persons.